Gas prices are at an all time high and continuing to rise. Wall Street is taking a beating. The housing market is a mess. Strains of diseases, thought to be long extinct, have reoccurred. The war in the Middle East rages on, with more people killed each week. There are fatal car accidents, homicides, drugs, and robberies, even in your own town. There is plenty around us to cause depression, frustration, anxiety, and apathy. All one has to do, is just watch the news or read the paper to find all the daily dose of bad news needed to cause such feelings and emotions. If we simply focus on these things, it would seem that the ground is giving away beneath our feet and there is no hope for anyone. Many of us are not directly affected by any of the situations listed above. However, we do endure heartaches and disappointments at times. It is in those times that it is most important to draw close to God. It is not a hard thing for the Christian to thank God and praise Him when all is well. It is quite difficult to give Him that same praise in the midst of a storm in our lives. I remember when one of the banks I worked for decided they no longer needed my services. My direct supervisor came by at 5 pm on a Friday afternoon to tell me I was no longer employed. I was shocked and overwhelmed. I had done nothing wrong, but now had to look for a job. The next morning, I was supposed to help set up our church for service on Sunday. 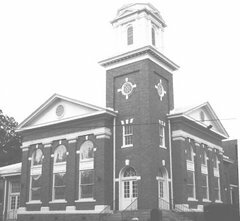 Simpsonville First Baptist had started a second campus which was an all contemporary format. We were meeting at the Simpsonville campus of Greenville Technical College, and had to set up and tear down each week. Before I entered the building, I encountered a man who I had grown to admire. His name is Jim Dawson, and he is simply the finest example of the attitude we should all have as a Christian. He is always positive, energetic, and compassionate. He and his wife were mentors to me and my wife without even knowing it. Jim took one look at me that day and knew there was something wrong. I thought I had hidden my pain pretty well, but he saw right through it. He asked what was wrong, and I told him. The first words out of his mouth were “Well…Praise the Lord!” I thought he was nuts. However, I learned from that encounter, that praise to God is not only reserved for what we perceive to be good in our lives, but something we should always do. Did you notice in the scripture above, the writer of Hebrews refers to the “sacrifice” of praise? That’s because sometimes it is indeed a sacrifice. It is not something we want to do when troubles come. However, God says we should praise Him continually. Give Him the praise He is due, for He has created us to worship Him. When we praise Him, He will lift us up, and give us hope. Praise Him! Praise the Lord! !